Wenqing Perner, Dr. Randall Robinson, Dave Sorokowsky. Online registration is only open until March 8, 2019. After that you can register at the congress. CSA & AOS Judging: Thursday, March 14, 2018 at the Earl Warren Show grounds including a judges’ luncheon. 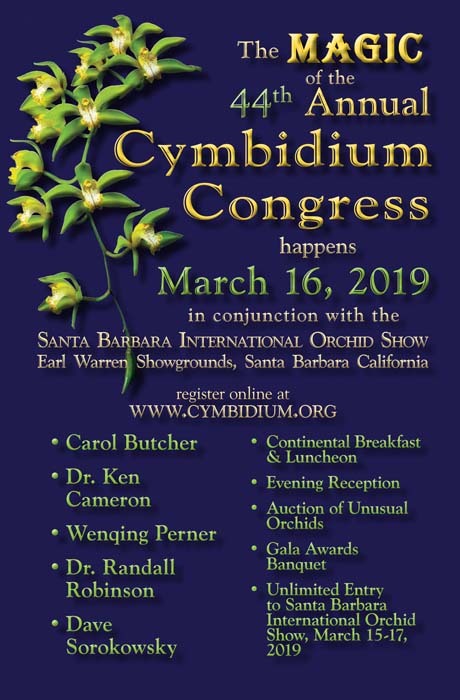 74th Annual Santa Barbara International Orchid Show: March 15-17, 2019 from 9 am to 5 pm. Congress Registrants have unlimited entry to the show during show hours. Your CSA Congress Name Tag will serve as your pass for admission. Click here to download the brochure. 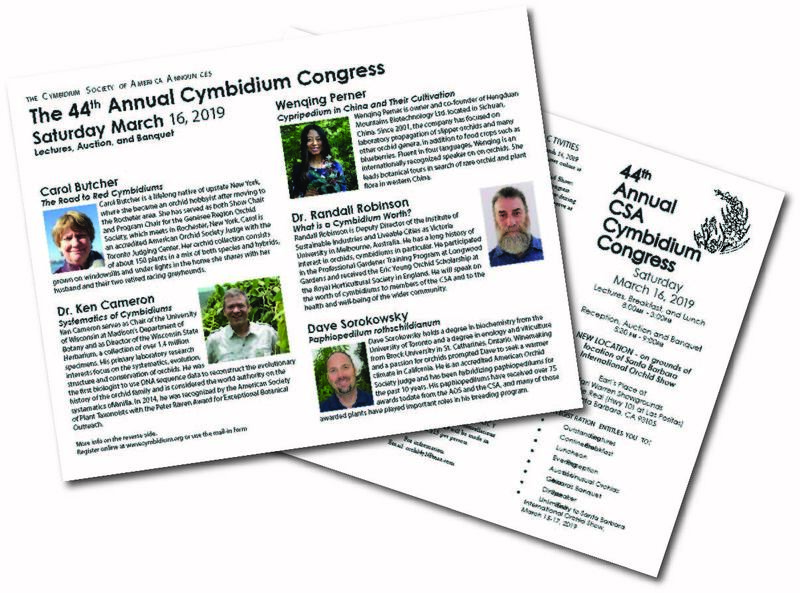 Use this downloaded brochure to register for the Congress by mail. 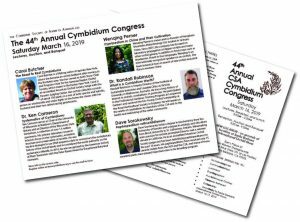 If you would like to register online for the Congress, click here.